Yeah! Late Night Is Twice as BIG! The Old County Road is now Eagle Bluff property. So both Family and Late Night Guests enter through the same gate near the highway. This makes North Beach Landing more private, only for paying Eagle Bluff Guests. 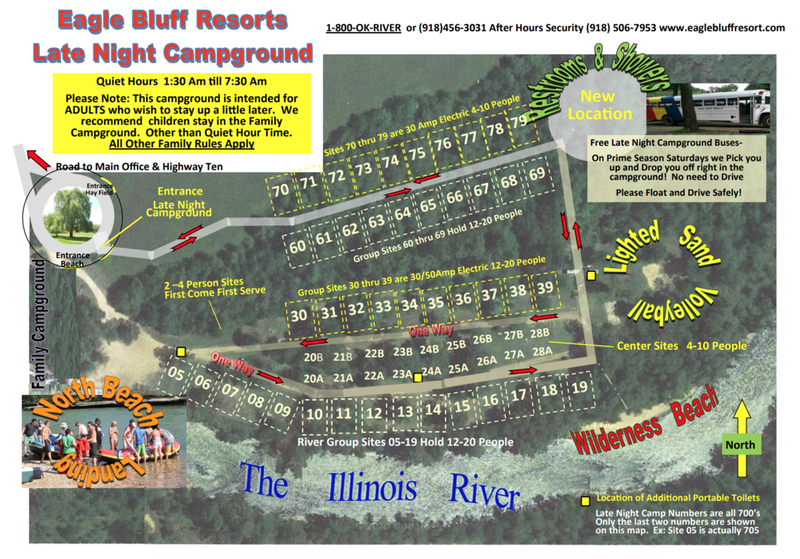 The Late Night Campground Map below makes it easy to choose the site you prefer. Just choose, then click below to find the Reservation Request form to request it. If the site you request is not available, we'll use your choice to suggest another spot you and your friends might like. We look forward to making your trip easy and fun!